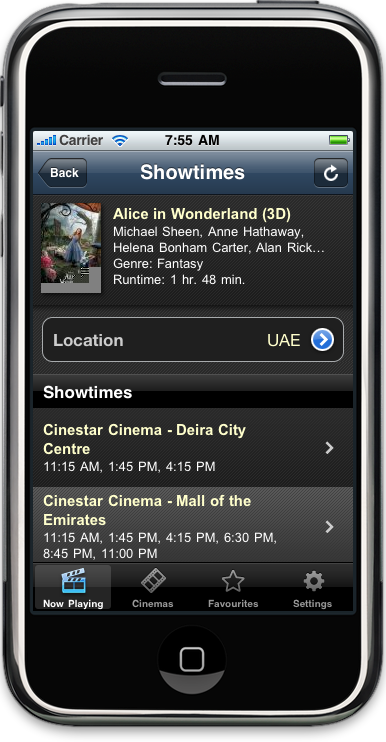 Flip Media, largest interactive media agency in the middle east launched just today the first movie seeker’s iPhone app. Naviflix was built to do one thing, and do it well: help movie buffs get to a movie they like as fast as possible. 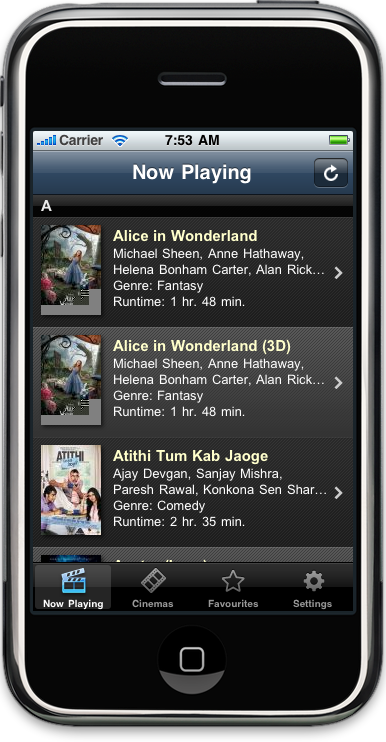 The app is now available on the iTunes App Store literally shows you what’s playing in theaters ‘near you’ utilizing iPhone’s location based technology to list movies in cinemas within proximity. 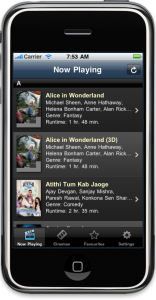 It comes with two tabs displaying, in alphabetical order, movies that are ‘Now Playing’, and ‘Cinemas’ allowing users to sift through their cinema of preference, or simply scroll through the long list of movies being showed (currently only in the UAE). Clicking on a listing will expand the view to display information specific to the movie including a trailer and snapshots from the movie itself. The people from Flip Media haven’t forgotten their tweeple, Naviflix comes with built in social media support, allowing movie goers to share their experience on platforms such as Facebook and Twitter in order “to encourage users to engage in real time conversations” and “post films they are considering watching and get immediate feedback from friends.” said Imthiaz Rafique, Head of Flip’s Mobile Applications Development. Application has an excellent web version too at Naviflix . Naviflix has its twitter updates at @naviflix as well. The service targets the mobile phone industry in the region, at this time only supporting the iPhone and a number of smart phones even promising support for the holy iPad during the months to come. 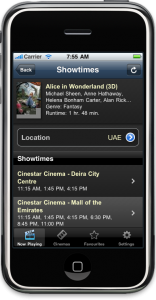 According to its creators, the Naviflix app has been carefully designed to be able to integrate with any cinema’s mobile ticketing system giving it the future option to team up with cinemas throughout the region to let users buy tickets making it get you what you want, where you want without even having to stand in line.